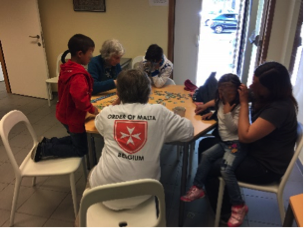 The daytime shelters “La Fontaine” provide hot showers, laundry services, basic medical care and administrative assistance for the homeless in Brussels, Liege, and Ghent, helping 25,000 individuals per year. The “La Fontaine” houses are the only shelters providing a complete chain of services on the same location. This grant will allow for the administration and paperwork to be computerised.